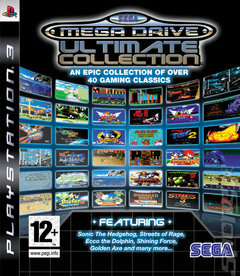 SEGA Mega Drive Ultimate Collection is the name of the game and just about sums up the whole package. The Japanese giant's most popular first party titles from the good old days are all here and thanks to some upscaling, are looking better than ever. In addition to the titles from the 16-bit titular Mega Drive era, the compilation includes bonus content from Sega's library of 8-bit Master System and 1980s arcade era games. All good, clean, retro fun!